Sitting cross legged on the hardwood floor of the temple were row upon row of men, spines stiff and eyes closed. Next door was a classroom with more men, seated and reading texts, occasionally answering questions put by a man pacing back and forth. Outside were columns of men stripped to the waist and running through exercise drills with deep stances and wide, powerful arm movements. What do all three groups have in common? Though their methods are different, all three groups were hard at work enhancing their minds. Regardless of how many scientists challenge the existence of paranormal activity, such as ESP and Telekinesis, none can refute that the mind and body are linked, and that one has a direct impact on the other. In fact of all the paranormal abilities, those concerning the manipulation of the body by the mind (when affecting oneself) are the most readily acceptable by the scientific community and the ones that produce the most results under laboratory conditions. The mind and body connection is well established: everything from biofeedback to laughter being the best medicine to studies showing that a positive outlook can make a person feel better physically, as well as stories of superhuman feats by people put under extreme duress. In many different ways in many different cultures people strive to enhance their mind through enhancing their bodies. Common advice given to students preparing for a big test is to get enough sleep the night before. Not only would being tired make slogging through a tough exam more of a chore, it has been shown that the brain—including memory—works better when the body is properly rested. Generally a healthy body allows the brain to function at optimal levels, which is an advantage in everything from job interviews to taking tests, playing games and any activity that requires focus. Psi and other abilities are no different in this regard and in some beliefs it requires reaching a certain “level of enlightenment” to use the abilities in the first place. It looks more like resting than physical training, but ask anyone who has endured a marathon mediation session and they will explain how much effort it really takes. The primary goal of meditation is the put the body into a state of relaxation that the mind imitates, and from there to free the mind from distraction. Once freed from distraction the mind, in theory, is able to work more optimally and the practitioner able to reach certain goals. Anything from a sense of well being and peace to tapping into latent psi abilities to astral projection are all accomplished from a base of meditation. Meditation is the least physically active of the various training methods, but can be very physically demanding when done for extended periods of time. The Yoga disciplines originated in India and the word is Sanskrit, making it one of the oldest terms still in use today. Yoga combines meditation with movement, where the practitioner assumes various poses and holds them for a predetermined amount of time. Various positions affect different chakras (another Sanskrit word), each associated with a different area of influence, such as sexual energy, vitality, memory, charisma and the like. 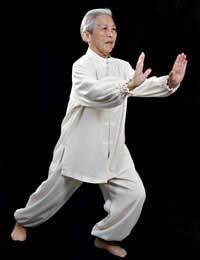 Tai Chi is a Chinese Martial Art that is often called “moving meditation” and is similar to Yoga in that it combines elements of physical movement and mediation. In Tai Chi—and in deed in most martial arts—proper breathing techniques combine with physical exertion to increase the practitioner’s ability to tap into their “qi”, or life force. Masters are able to use qi to great effect in performing many feats considered unnatural. The Mind and Body Connection is a well established fact and the ability to affect the mind with the body and vice versa fairly easy to demonstrate. A bodybuilder who pauses between sets to meditate and focus his mental energy will find he can lift more afterwards, for example. Whenever a person sets out to enhance their mental ability, ignoring physical training would be detrimental to their pursuits.